Can we build an epistemology of artifacts? What are the scientific connections between artifacts and knowledge? How can we conceive the relationship between knowledge, philosophy and science? 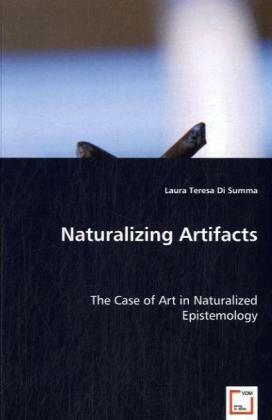 Naturalizing Artifacts aims to find an affirmative response to these problems through the analysis of artworks and their relation to perception, neuroscience and neuropsychology. Broadening the limits of epistemology to artworks, this work inspires a revision of naturalized epistemology focusing on the cleavage between natural kinds and artifacts and on the distinction between true and false beliefs. Emphasizing the crucial role of perception, emotions, and of the interactive character of artworks, the author intertwines philosophy, science and art enlightening the possibility of a new account of theories and objects.